DETROIT - A new unified payment system was announced this week for Metro Detroit's bus system. This new system, Dart, will launch on May 1. Dart will be a new way to pay for transit in Metro Detroit and make taking transit more seamless in the region for riders. Dart passes will be available in 4-hour, 24-hour, 7-day and 31-day increments and customers will be able to use them interchangeably on SMART and DDOT buses, eliminating transfers and streamlining the number of fare options between the two systems. Reduced fare options will be available for seniors, people with disabilities, Medicare Cardholders, and youth. A Dart mobile app will be available this summer. A 4-hour regional Dart pass with unlimited transfers between DDOT and SMART for $2, with a reduced fare price of 50 cents for qualified riders. A 24-hour regional Dart pass with unlimited transfers between DDOT and SMART for $5, with a reduced price of $2. A 7-day regional Dart pass for $22, with a reduced price of $10. A 31-day regional Dart pass, good for unlimited rides on both systems, for $70, with a reduced price of $29. The 31-day pass will also feature a tap to pay option for easier boarding. Riders have the ability take unlimited rides on both systems, eliminating transfers and other additional fees from the previous payment systems. Dart is a rolling pass as each pass starts on the first use for the time period allotted. And for the first time, all of the new regional passes are available for reduced fare riders – seniors, people with disabilities, Medicare Cardholders, and youth - who show valid ID will have access to these reduced fares. It is anticipated that Dart will expand to the QLINE and the People Mover in the near future. “Paying with Dart is going to make it much easier for Detroiters to get where they need to go. 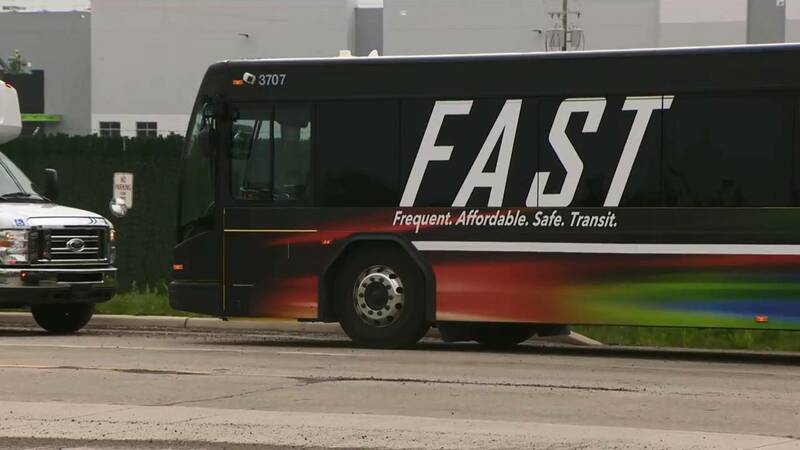 This partnership with SMART demonstrates our commitment to working together on key initiatives that have separated our systems in the past”, said Angelica Jones, Interim Director of Detroit Department of Transportation.